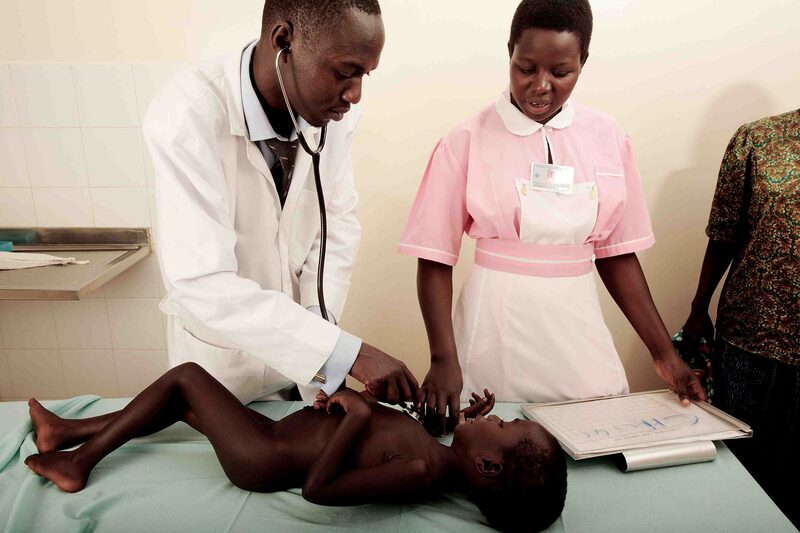 In a country where there are 1.3 nurses and midwives for 1,000 people, the training of health professionals is fundamental to improving access to quality health care. 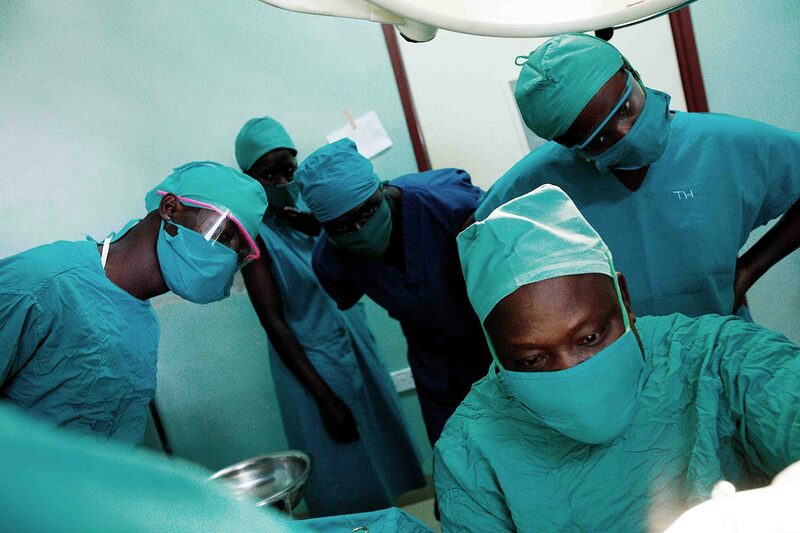 The Training and Education Chapter supports Lacor’s Nursing School, an on-site branch of Gulu University’s Faculty of Medicine, and schools for laboratory and anesthetist technicians. 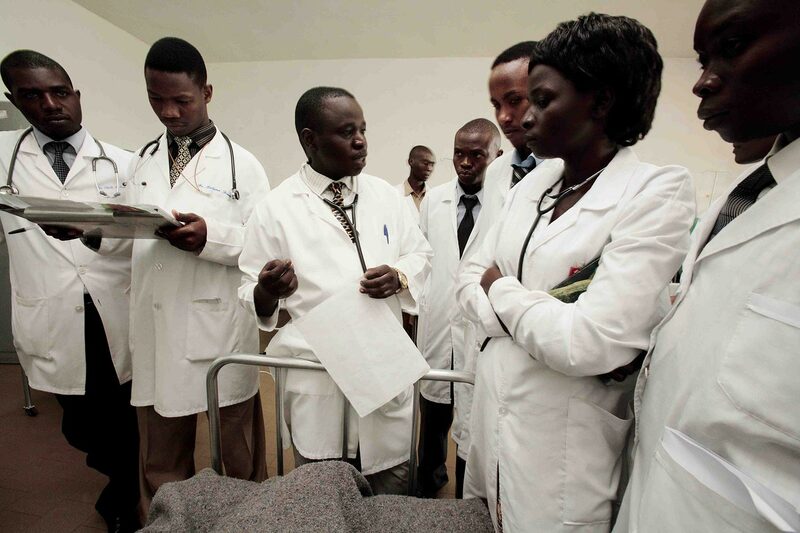 Thanks to your support of this chapter, more Ugandans can become doctors, nurses, midwives, and technicians. 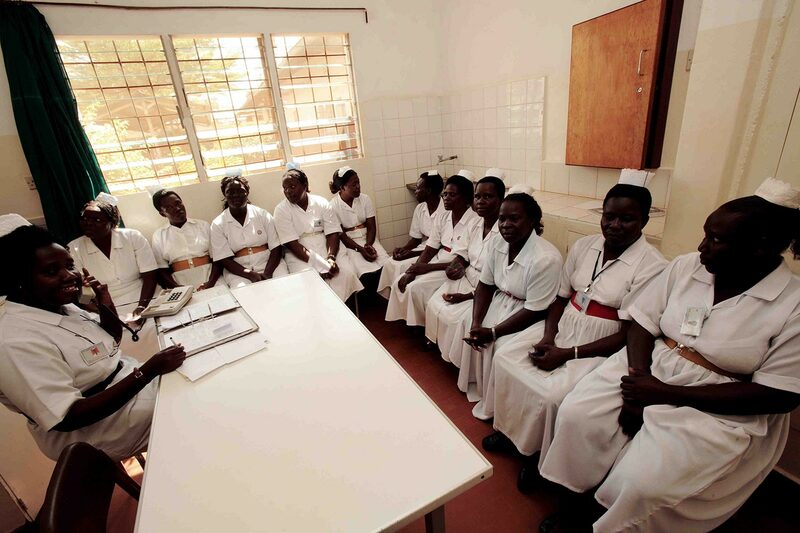 Joyce is one of the 323 students at Lacor Hospital’s nursing school, which includes nursing and midwifery students. She has a husband and three children—two boys and one girl. When she talks about Lacor’s nursing school, she says that she chose Lacor Hospital because it was the nearest teaching hospital to her home and because the hospital, being so large, employs a significant number of graduating nurses each year. 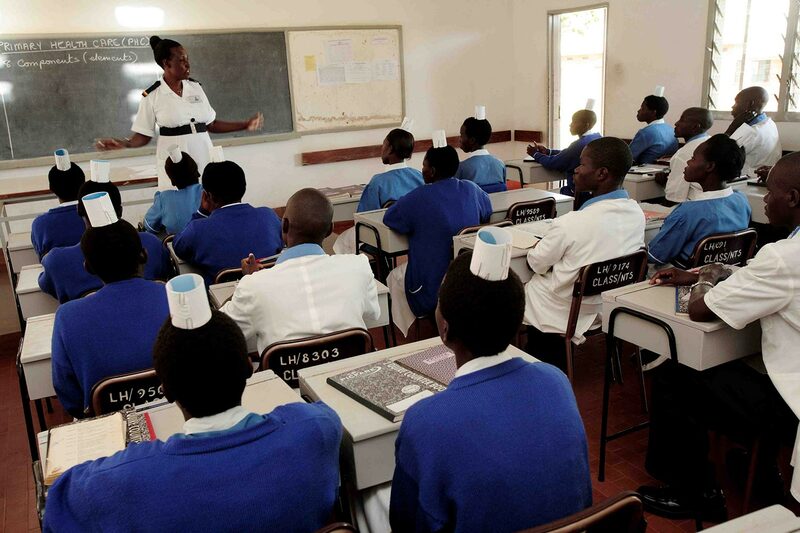 Lacor Hospital schools include Nursing (three-year certificate and two year diploma courses) and Midwifery (certificate and, from this year, also degree). Most of the trainees are from within the country but some are from other countries, like Kenya, Sudan, Congo, Rwanda and Tanzania. 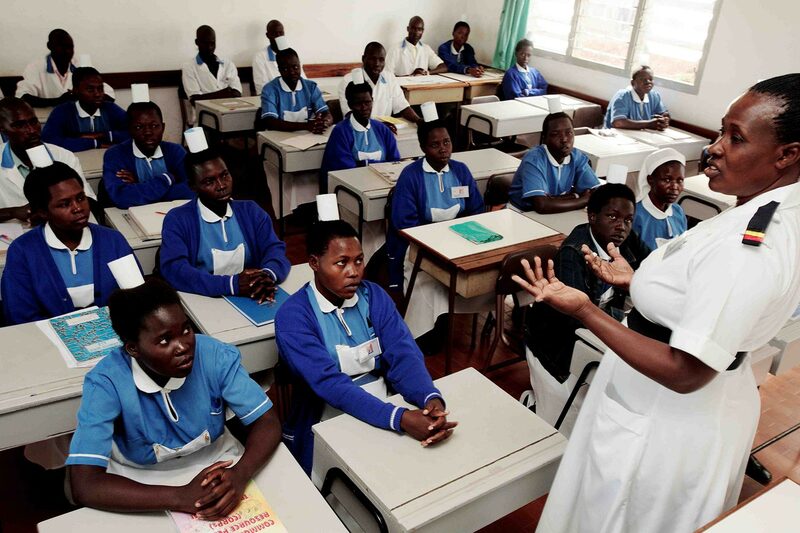 During the examinations held by the November 2015 Uganda Nurses and Midwives Examinations Board (a semi-autonomous government body), the school presented 114 candidates (56 Certified Nursing, 34 Certified Midwifery, 24 Diploma Nursing) with pass rates of 98%, 97% and 91%. The Hospital also offers the required field exposure with rotations of students in the Hospital’s Peripheral Health Centres. The schools’ training capacities have required building the necessary hosting facilities for students and tutors. The school has 12 teaching (including principal, tutors, and clinical instructors) and 8 support staff. 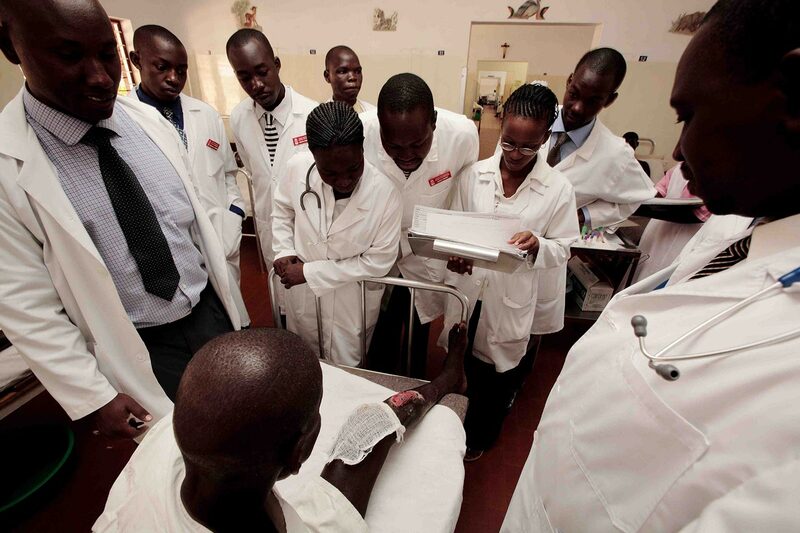 Lacor Hospital also has training schools in Laboratory and Anaesthesia Technicians and Theatre Assistant Nurses. 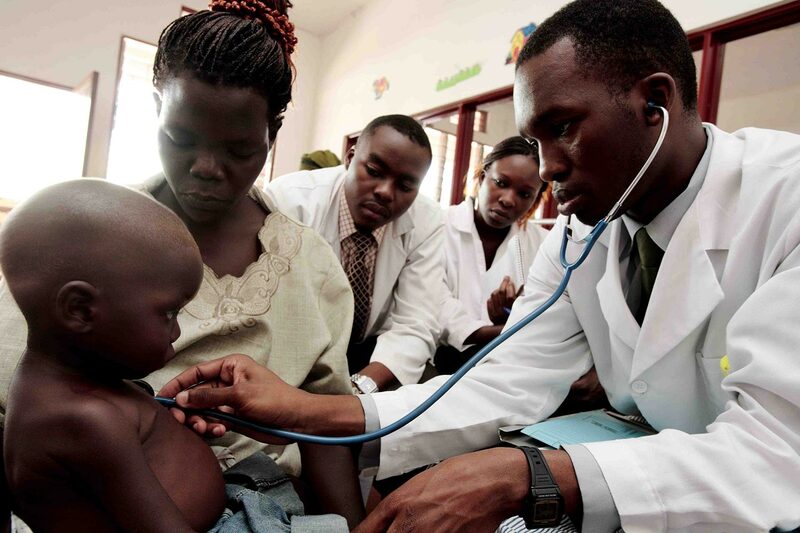 Since 1983, it is also an internship site for medical graduates from the country’s three government faculties in Kampala, Mbarara and Gulu, and is an official teaching site for Gulu University’s Faculty of Medicine. The total resident student population is over 450, while the non-resident population (Gulu Faculty of Medicine students) is around 200.